I think I might have found the image but I lack photoshop so I can't recreate the image exactly. I have GIMP, I used Posterize filter on 7 to get this effect. This is the image with boss.jpg overlay. It doesn't line up exactly because I had to scale and rotate the image but most of the major points line up with the Sarah Jonas Image. For example - Jonas' right cheek where the shadow does a V shape. What do you guys think? Is it a close enough match? Can someone who has photo shop try and get the right bitmap effect so we can match them up perfectly? How I came across this photo was originally I was thinking the lady eye on boss.jpg was Maggie (after figuring out her serial number) so I went looking for pictures of her to line up. I also figured there is probably someone else in the picture because the eye is off to the side. 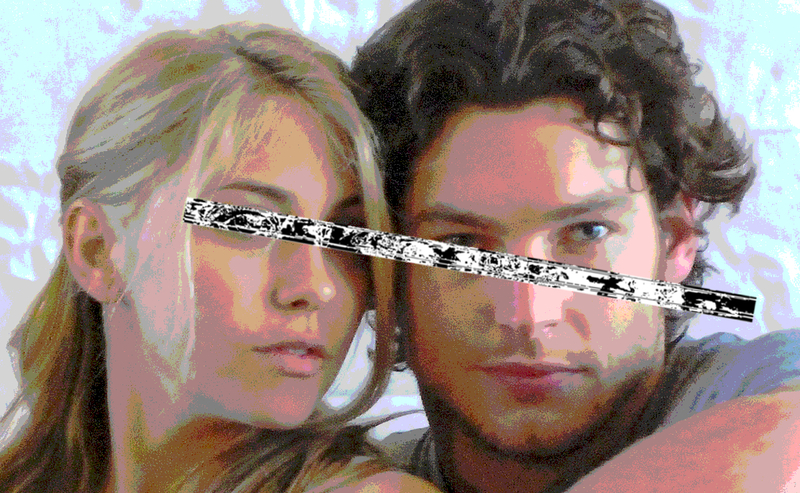 I found a pic of her and Jonas but her eyes were too squinty in that pic for it to be her, but the image lined up with Jonas' faces proportions/sideburns/curly hair. So today out of boredom I looked up a bunch of Jonas photos to see if it could be another girl. 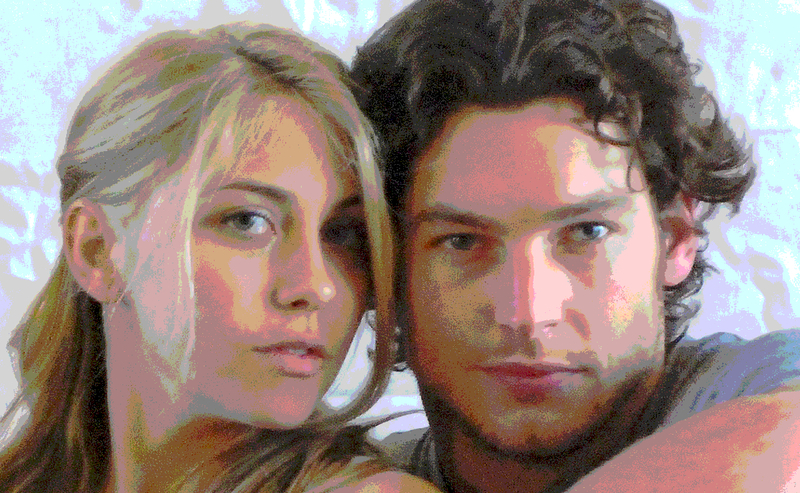 Found this pic of Jonas and Sarah, noticed she had big eyes... If this is the right picture - is it just more proof that Sarah is Boss? What does jonas have to do with it? Edit: Also I could be wrong. I mean Boss.jpg could be from a video and not an image, so there might be billions of possibilities of what it could be... but I guess I must assume its a solvable puzzle and we just haven't put all the peices together yet.